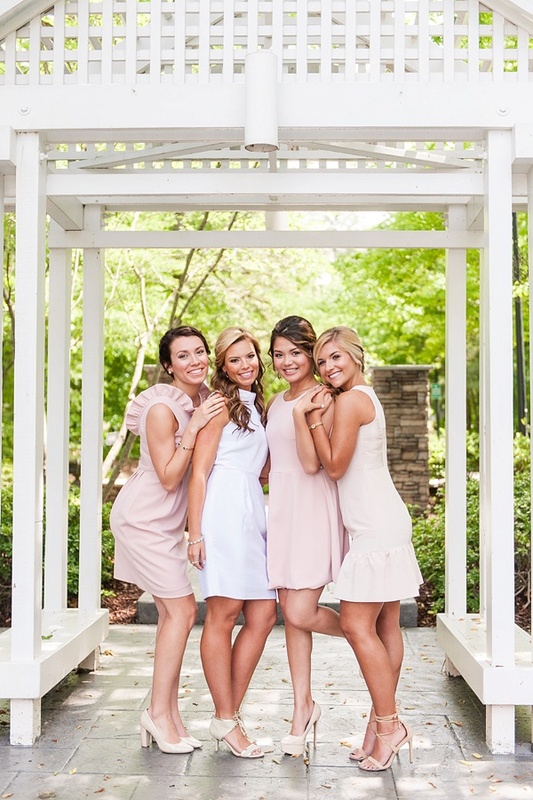 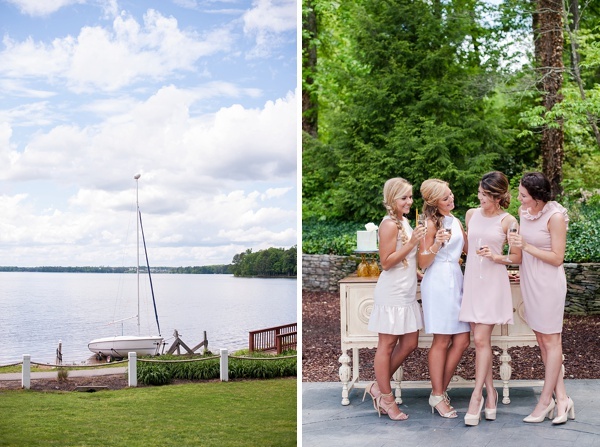 From the gorgeous bridesmaid dresses to the lakeside setting, it's not hard to fall in love with this bridal luncheon inspiration shoot at The Boathouse at Sunday Park in Richmond! 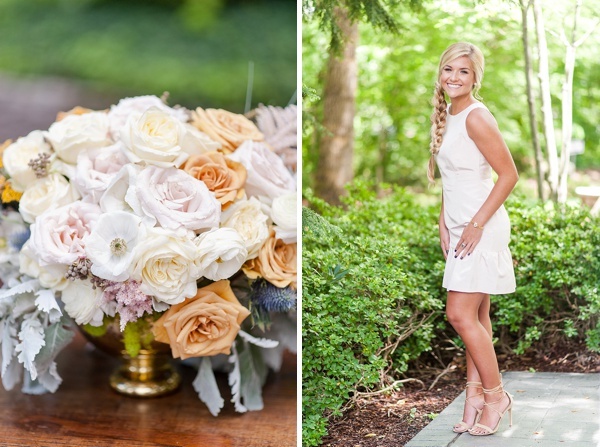 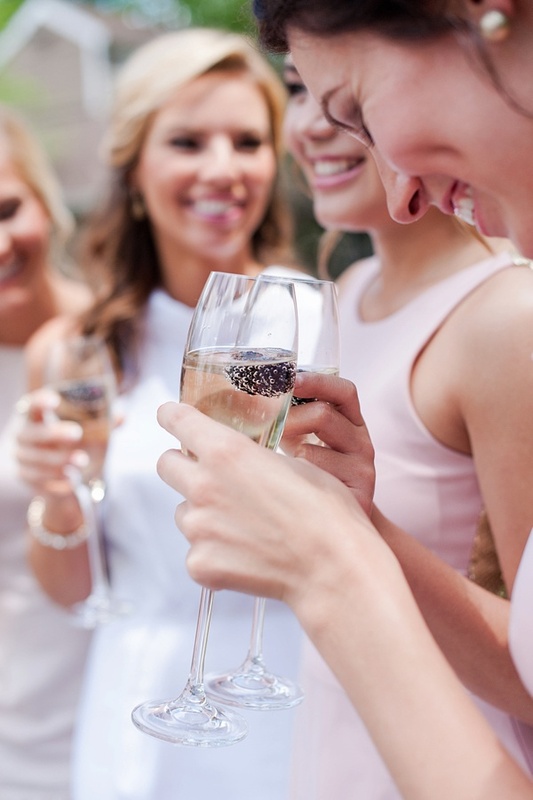 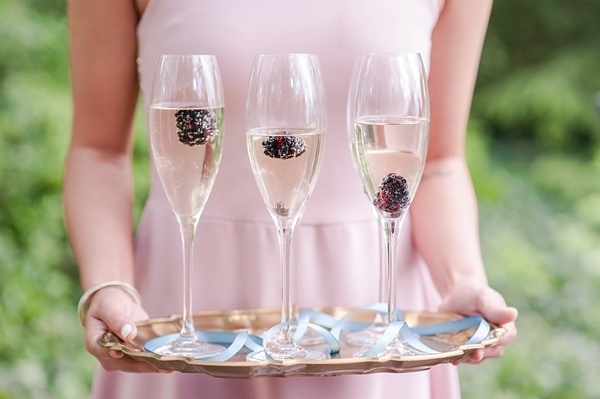 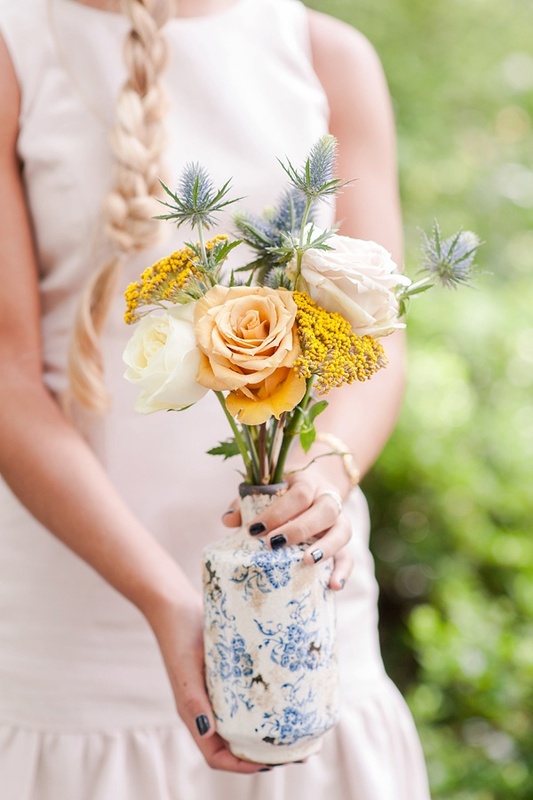 Captured by Amber Kay Photography and styled by Alana Futcher of Chancey Charm Richmond, the creative team dreamed up a subtly preppy nautical theme with champagne, sweets, and a whole lot of beautiful smiles. 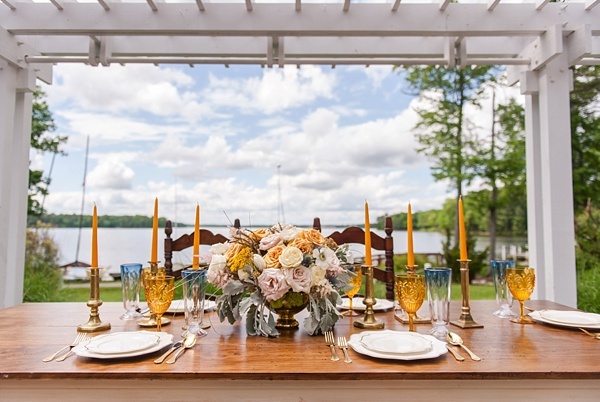 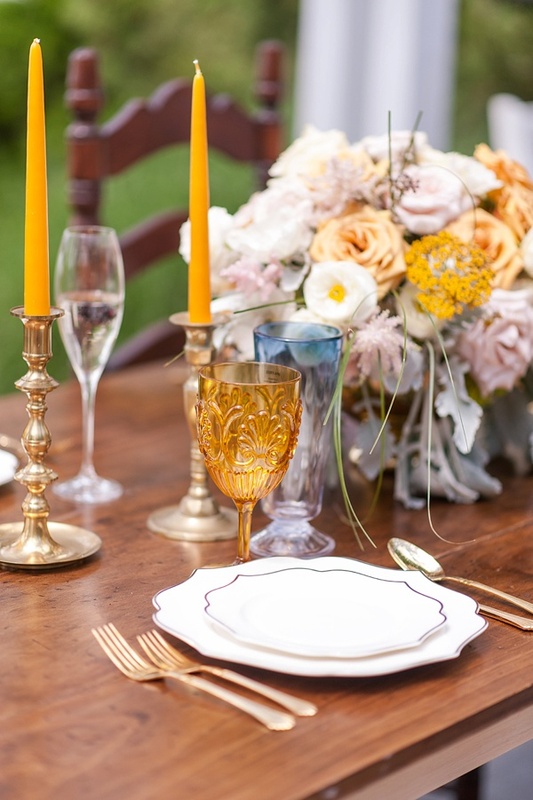 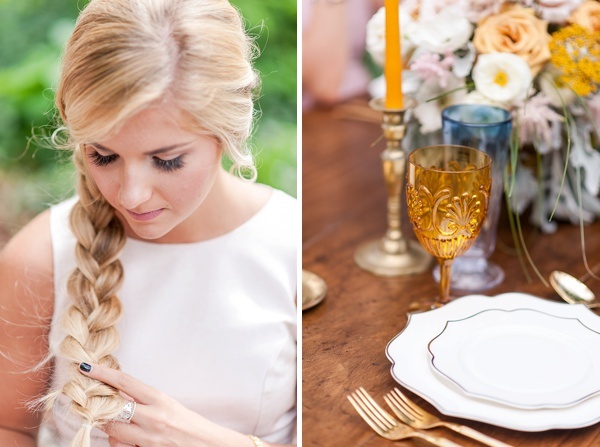 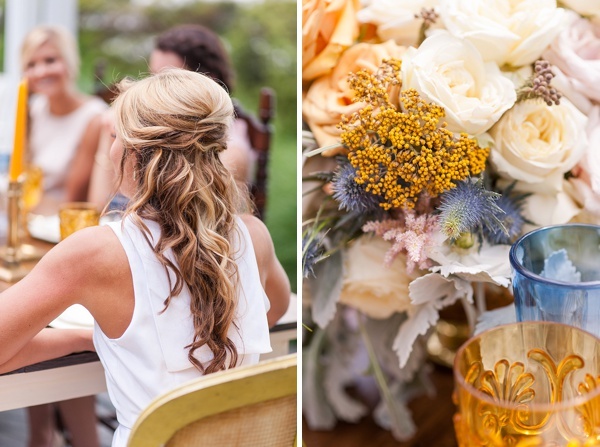 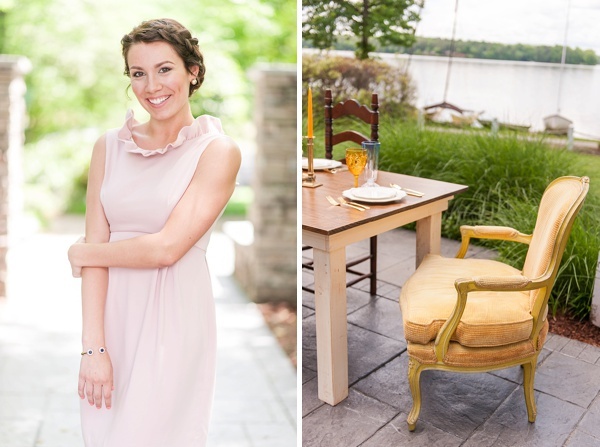 Mustard yellow, pastel colors, and a touch of dusty blue set the color palette for this waterfront luncheon with the ladies. 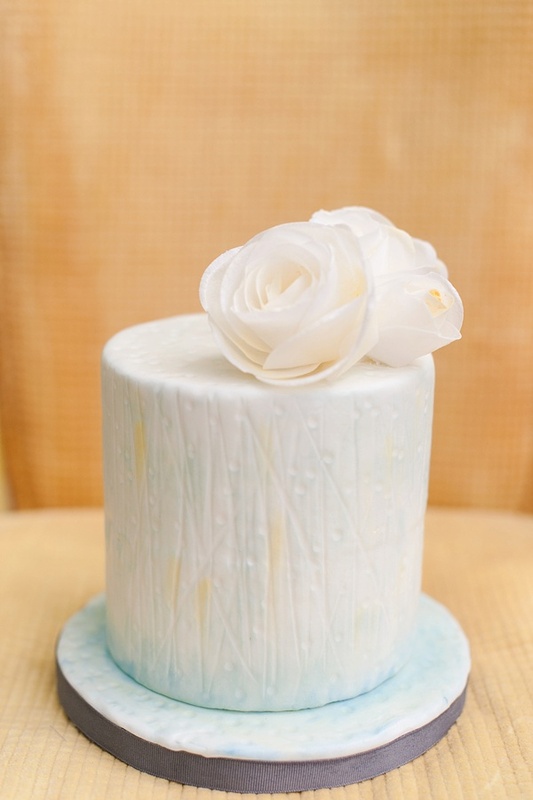 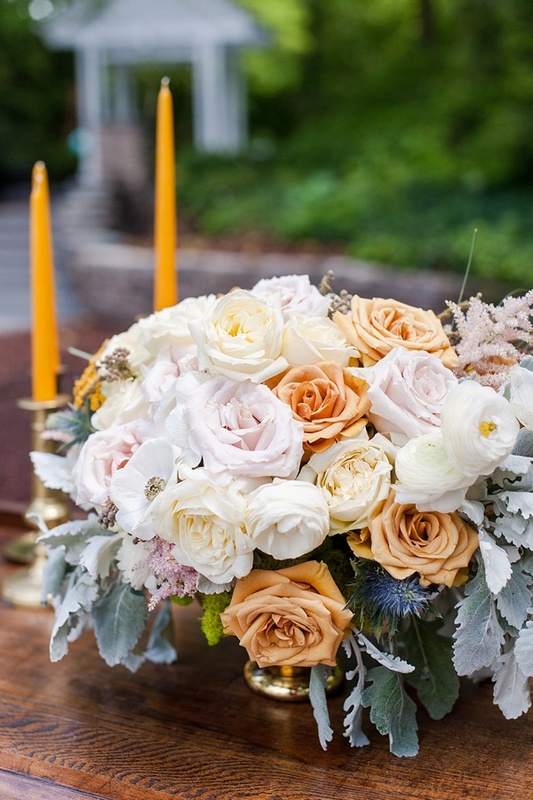 The softly modern textured single tiered cake washed with yellow and blue perfectly complemented the floral centerpiece comprised of roses, blue thistle, and yarrow that was arranged on timeless vintage furniture from Nathaniel's Unique Events. 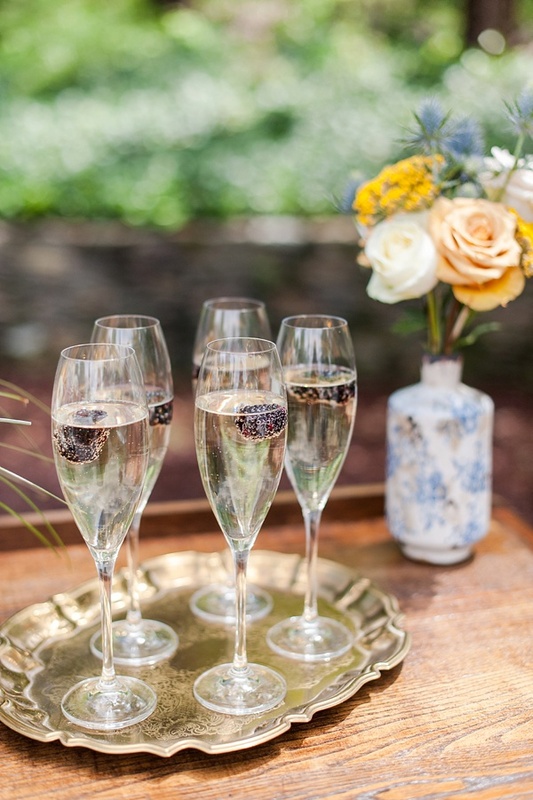 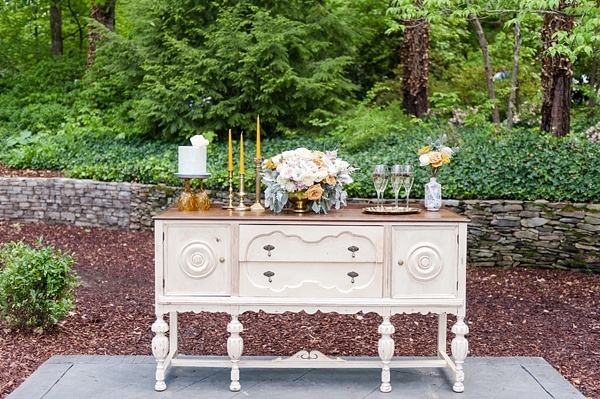 It was a bright sunny day along the Swift Creek Reservoir and had all the right celebratory vibes and style!